These choker style necklaces are each approx 16 in long. Each has three torch fired enamel beads; Czech glass beads, and sterling silver hook and eye clasps. These choker style necklaces are each approximately 16" long. Smaller accent beads are Czech glass 4X4 square. 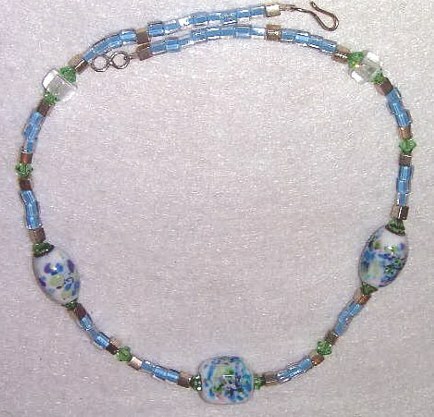 in silver metallic and clear with turquouse color centers, peridot crystal accent beads, three torch fired enamel beads. 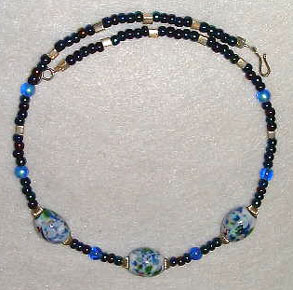 These smaller beads appear black in photo, but actually are shades of blue iris. sterling silver accent beads, sterling silver hook & eye clasp. 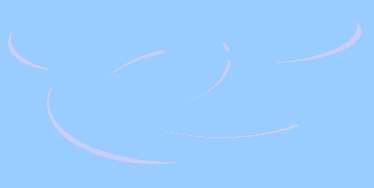 Again..the smaller dark beads are actually shades of blue irridescent, not black!